Recent Arrival! **CARFAX ONE OWNER**, ** LEATHER **, LOW MILES!, Honda SENSING!, REAR VIEW CAMERA!, HEATED SEATS!, POWER SUNROOF!, FACTORY ALLOY WHEELS, MP3 AUDIO!, A USED CAR YOU CAN DEPEND ON!, COME SEE OUR CERTIFIED SALES PEOPLE!, AVAILABLE TODAY!. Harvest Auto is excited to offer this wonderful-looking 2016 Honda Civic. EX-L Blue Odometer is 20761 miles below market average! 31/42 City/Highway MPG *Find out why people are traveling hundreds of miles away to Yakima to purchase their next new or used vehicle. The home of Bottom Line Pricing where we shop our prices against the competition every day to take the headache out of car buying. Non-commission Sales Consultants and a fast friendly experience means not only will we find the vehicle that best meets your needs and your budget. Just shop us, you'll be glad you did! * Awards: * 2016 IIHS Top Safety Pick+ (When equipped with honda sensing) * NACTOY 2016 North American Car of the Year * 2016 KBB.com Brand Image Awards 2016 Kelley Blue Book Brand Image Awards are based on the Brand Watch(tm) study from Kelley Blue Book Market Intelligence. Award calculated among non-luxury shoppers. For more information, visit www.kbb.com. Kelley Blue Book is a registered trademark of Kelley Blue Book Co., Inc. Recent Arrival! **CARFAX ONE OWNER**, ** LEATHER **, MP3 AUDIO!, REAR VIEW CAMERA, POWER MOONROOF!, HEATED SEATS!, FACTORY ALLOY WHEELS, XM CAPABLE!, A USED CAR YOU CAN DEPEND ON!, COME SEE OUR CERTIFIED SALES PEOPLE!, AVAILABLE TODAY!. 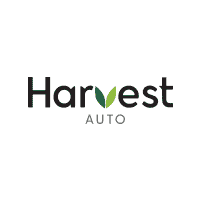 Harvest Auto is delighted to offer this attractive 2016 Honda Accord. EX-L Gray 27/37 City/Highway MPG *Find out why people are traveling hundreds of miles away to Yakima to purchase their next new or used vehicle. The home of Bottom Line Pricing where we shop our prices against the competition every day to take the headache out of car buying. Non-commission Sales Consultants and a fast friendly experience means not only will we find the vehicle that best meets your needs and your budget. Just shop us, you'll be glad you did! * Awards: * ALG Residual Value Awards * 2016 KBB.com Brand Image Awards 2016 Kelley Blue Book Brand Image Awards are based on the Brand Watch(tm) study from Kelley Blue Book Market Intelligence. Award calculated among non-luxury shoppers. For more information, visit www.kbb.com. Kelley Blue Book is a registered trademark of Kelley Blue Book Co., Inc. Looking to buy a pre-owned Honda in Yakima? Come to Harvest Honda for the largest selection of used Honda inventory in Washington’s Yakima Valley. Our Honda dealership near Ellensburg, Sunnyside, & Union Gap has a variety of CPO Honda vehicles along with some other used cars as well. At Harvest Honda in Yakima, our inventory is priced to sell. Whether we’re pricing a pristine certified pre-owned Honda or a slightly older Honda with some more character, we always used pricing tools like CarGurus & KBB. Thus, you can guarantee that you’re getting the best deal in Washington when shopping with us. Whatever you’re after, you can rely on our team to help you find the perfect car for you and your family. As soon as you arrive at our used car dealership serving Union Gap, WA, you’ll be greeted by Central Washington’s largest group of Honda experts. We aim to provide friendly, personalized service for every one of our shoppers to ensure an exceptional dealership experience! Whether you’re looking for a used Honda Civic or a pre-owned Honda Accord, you can count on getting the best deal when shopping at our one-price dealership. We stock our used inventory with Yakima’s favorites including the versatile Honda CR-V & the roomy Honda Pilot. The bottom line is, you’re going to enjoy your shopping experience at Harvest Honda.